September will keep Shamrock FC busy with two big shows only seven days and nearly 250 miles a part in both Kansas City and St. Louis. For St. Louis, the River City Casino plays host to a welterweight title bout at SFC 295. Local standout Aaron Highfill takes another step up in competition when he faces the Shamrock welterweight champ Zak Bucia. Bucia defeated Bobby Voelker in March in one of the greatest fights in the promotion's history. Using his technical striking and complete confidence on the ground, Bucia was able to chop away at the UFC vet to earn a unanimous decision victory in a five-round war that sent the KC fans into near hysterics with every kick and punch landed. 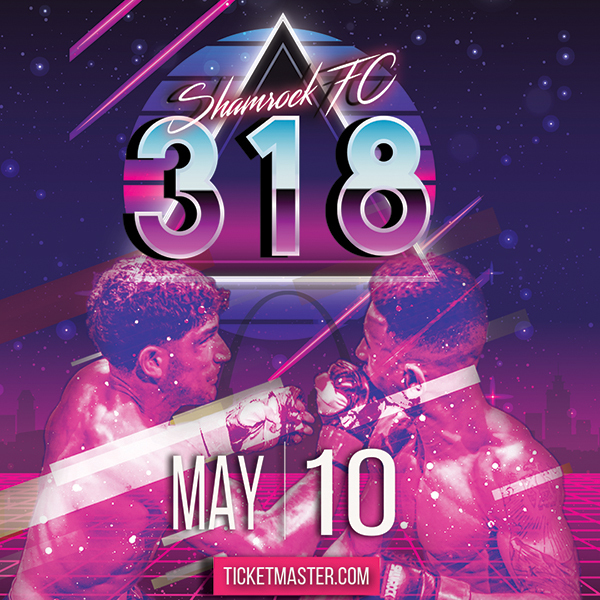 "This fight will be fireworks because of the styles of these two fighters," Shamrock FC President Jesse Finney said. "Zak is a student of the game and looked the best I have ever seen against Bobby." Fighting out of the Lawrence Fight Club in Lawrence, KS, Bucia has wins over notable St. Louis fighters like Adam Meredith, Hugh Pulley, and Robert Washington. In addition to twice as many professional fights, Bucia is more seasoned on the ground, having earned his purple belt from Trevor Rivers in 2014, a Gustavo Dantas black belt. This will be Bucia's first attempt at a title defense, which if successful, would land him an option to sign a Bellator contract. "I feel like Highfill is a younger version of Voelker," Finney said. "He needs to learn to defend the outside trip on the cage or Zak will expose him." Highfill, fighting out of the Hit Squad in Granite City, has been bouncing back and forth between middleweight and welterweight preferring to stay active rather than wait for the perfect fight. So far it's paid off for him, winning five out of his last six. Highfill has to be considered a sizable underdog. They share a common opponent in Jake Lindsey who stopped Bucia late in the third, and Highfill took the fight to a decision. The "Librarian" could be next up for the winner of this fight. Collinsville's Jordan Dowdy will be back in action to face Ty Flores in an 180-pound catch-weight bout. Dowdy is riding high after a dominant performance over Joel Blair at Shamrock FC 287 that improved his record to 4-3. After suffering two losses in a row, Dowdy refocused his training to emphasize ground fighting and it's already started to pay dividends. In the fight with Blair, Dowdy was able to get the fight to the mat quickly and never got off of Blair's back eventually scoring a rear naked choke midway through the first round. After starting his career off with a perfect 2-0, Flores has since dropped two in a row, the latest being a KO loss to Dowdy's teammate, Highfill, this past June. Flores is big, strong, has good range on his punches, and won't be easy for Dowdy to muscle around. Flores has sneaky submissions and is quite solid on the ground. Look for Dowdy to push the pace and try and capitalize on the first Flores mistake. Flores has nasty kicks and once broke the arm of his opponent. Letting Flores get comfortable on the feet might prove costly. St. Louis' hottest young pro, Sean Woodson, will be back to continue his run. Woodson outmaneuvered Rashard Lovelace in June to improve to a perfect 3-0, winning by decision. With wins over Kevin Brown, Coltin Cole, and last year's Regional Pro of the Year - Lovelace, Woodson has a very high upside. His SFC 295 bout will be his first at featherweight after at one time competing as heavy as light heavyweight just a few years back. Now training at the Wolve's Den, Woodson has shown a remarkable well-rounded game, with his long, straight punches being his greatest weapon. Facing Woodson is tough veteran, Seth Basler. For Basler, this will be his sixth pro fight in a year with wins over Cort Wahle, Fierce Taylor, and Johnnie Roades with the 30-second KO of Wahle being his most impressive of the three. Basler has a decent ground game, with a handful of submission victories to his credit, and this may be his best route to victory. Woodson should be the favorite, but we expect Basler will want to make this fight gritty, and should be a good test for Woodson. Wood River's Brandon Lowe returns to face Malcolm Smith out of Hahn's MMA. After a stellar amateur career, "Quickdraw" is off to a great start as a pro at 2-1. His only loss is at the hands of Smith's former teammate Rashard Lovelace at Bellator 145. Smith has fought a who's who of St. Louis fighters and at 9 pro fights should have the advantage of experience on his side. This should be a great fight as both fighters are about as tough as they come and not easy to put away. We give Lowe a slight edge on the ground but on the feet it's anyone's guess. In a bantamweight match-up AJ Siscoe will face Juan Parra. Siscoe is back in the cage since his triumphant, emotional return last December after an even bigger fight outside the cage when he battled cancer. Parra has good striking, and despite not yet finding victory as a pro, had some pretty nice wins as an amateur. Rounding out the main card will be the professional debut of Issac Purnell. Brandon Schehl will welcome him to the pro division for Purnell's first taste of a five-minute competition round. Purnell, fighting out of 21st Century Self Defense, landed a spectacular first round TKO of Derik Scott in March in a rematch of their split decision bout six months earlier. The win over Scott nabbed Purnell the Shamrock FC amateur lightweight title and a contract with the promotion. Purnell has nasty kicks and is very hard to hang with on the feet. In his first fight with Scott, Purnell was forced to fight with his back to the cage throughout the fight, showed great composure, and even better takedown defense. Schehl, the wrestling standout from Hillsboro, will want to make this fight ugly and get this fight to the ground early and often. If Schehl can find a way to take Purnell down, he has a shot, but that won't be an easy task. Purnell has great hips, and shown he can still implement his offense when pressed against the cage. In preliminary action, Watson Martial Arts' Luis Felipe will face Nathan Stearns in a battle of two promising young amateurs. Felipe comes from a traditional Muay Thai background, with Stearns having more of a grappling-heavy pedigree. The two styles should match-up nicely as Felipe has shown he's very comfortable fighting off his back. Flyweights Kris Craig and Raja Singh will meet in an exciting amateur match-up. Singh has some nasty submissions, and Craig will need to be careful with his takedowns. Also of note will be "The Mule" Kevin Mueller facing David Grant. Mueller has one of the best triangle setups we've seen and can really take a punch. 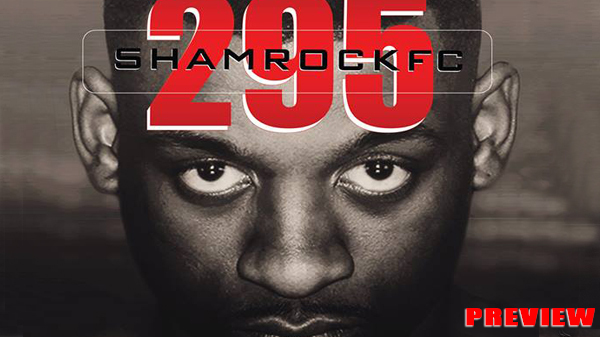 Tickets available at the Shamrock FC Store, the bout will be aired on Shamrock FC PPV.